Gedy's Petunia soap pump is a liquid soap dispenser pump that works well in a modern style master bath. 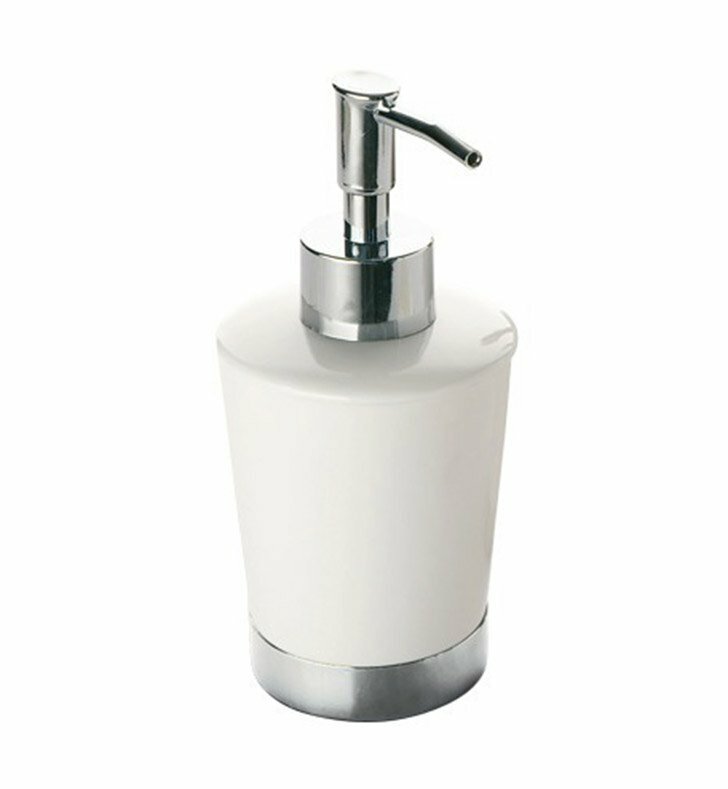 Made in and imported from Italy by Gedy, this free stand lotion/soap dispenser is a unique option for your luxurious personal bathroom. Match all your other white bathroom fixtures with this luxury white soap pump, made in high-quality pottery, plastic, and stainless steel.